Labour Day. No, it isn’t a day in which the nation celebrates women for pushing enormous babies out of their lower region (although God knows there should be a public holiday which acknowledges that!) no, Labour Day commemorates the start of the eight-hour working day for Australians. You see, back in the olden days, the working day was long and tiring with most people working up to 12 hours a day, six days a week, so this is actually an important public holiday that remembers those who struggled through the hard yards and to celebrate those who pushed for fair working conditions in this great country of ours. So, now you know why we get to enjoy a day off to spend with family and friends! What are your plans this Labour Day long weekend? Well, if you live on the Mornington Peninsula, or perhaps you’re thinking about visiting us here this weekend, the good news is there are lots of cool activities happening, with a little something for everyone! 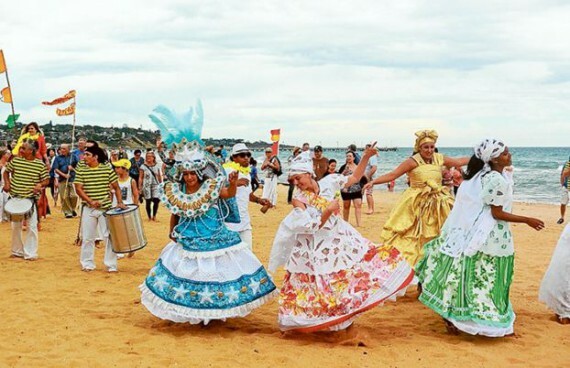 Immerse yourself in Latin American, Portuguese and Spanish cultures throughout the day with delicious BBQs, street food, music, dance performances and workshops for the entire family to enjoy, while roaming the unique craft stalls. Make sure you visit all the quarters (barrios) – Central America, Spain, Brazil, Andes, Chile and more. HIGHLIGHTS – Something for everyone! Don’t forget to bring your drink bottle (let’s practice sustainability! ), dancing shoes and soccer gear. The Red Hill Show…There’s nothing like it! Aside from the remarkable array of animals including Clydesdales, cattle, sheep, alpacas, poultry, minature goats, working dogs and more, the 2nd Red Hill Cider Show will be hosted by local published foodie Richard Cornish and offering tastings of the award-winning ciders. This year, we are thrilled to have the Australian Mountainboarders back with demos and free workshops. The Fly Dogs will astound you with their speed and agility. A leatherworks workshop and puppet workshop will highlight some of the past trades. There will also be woodturning, spinning and weaving demonstrations. Willum Warrain, an indigenous group from Hastings, will bring their colourful caravan and engage children in boomerang painting. Pavilions will be filled with flowers, fruit, vegetables, cooking, craft, photography and art. The countries best to fight it out for a Victorian Title in the woodchop arena. There will be plenty of free music, activities and attractions for the whole family. Groove to the fantastic jazz vibes of The Jackson Four and kids will love the many FREE fairground rides including Bubble Soccer, rock climbing, jumping castle, pony rides and more. To celebrate our 90th there will be an official opening of the 90th Historical Display taking place at 11.00am at the Community Pavilion which will showcase memorabilia and photos of past shows and the Hinterland area. Don’t miss Victoria’s only remaining Grand Parade at 3.00pm! The Balnarring Picnic Races offers good old fashioned racecourse fun for the whole family. Pack your nibbles and a rug and park yourself under one of the many shady trees for a laid back relaxing day. Yes, it’s casual and a little bogan but the kids will have a ball running around watching the horses whilst mum and dad relax with a vino! Cost – 15 years and older $55, Family $140, 5 – 14 years $30, under 5 FREE. Australia’s Premier Country Air Show. This year’s theme is Winged Warriors. 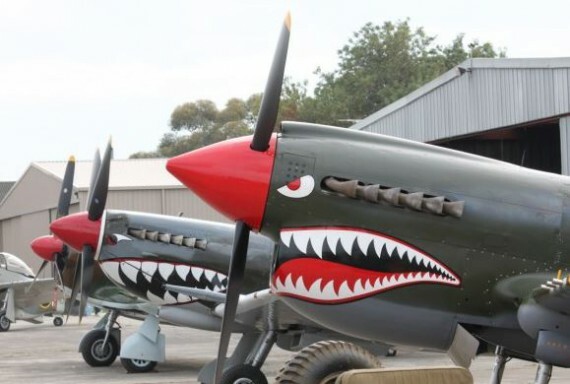 Aircraft of all categories from the past, present and future will be on the field there will also be on-ground displays of vintage aircraft alongside classic motor cars. An amazing display of aerial pageantry will begin at 11:30am. Non stop all day action for the whole family. Rosebud Kite Festival is renowned for it’s flying of awesome super-sized maxi sky kites, designed and managed by internationally recognised wind artists from both New Zealand and Australia. Huge inflatable kites, single line kites, Tetrahedral kites and kite buggies. There will be family activities, food stalls, kids carnival and roving entertainment as well as awesome live music. Enjoy the wonderful ambiance of the Mornington Racecourse Market. Enjoy breakfast or lunch on the lawn after browsing the market stalls and purchasing unique quality hand made goods that this market is famous for. Great live music on the lawn and talented buskers dotted amongst the stalls for all to enjoy. A delightful local market featuring stalls selling items that simply aren’t available at retail stores, inspired by each individual artist’s unique style and story. Get inspired by the creatives behind the products, catch up with friends and have a picnic lunch savouring the flavours from around the world or bring the kids down for a play, there truly is something for everyone. A community fun day out, the Somerville Family Day will have free kids activities, rides, a market, Show and Shine and much more. Local talent will be performing on stage. Take a picnic rug and enjoy a community day out with the family. x2wszL Im obliged for the article.Really thank you! Really Great.